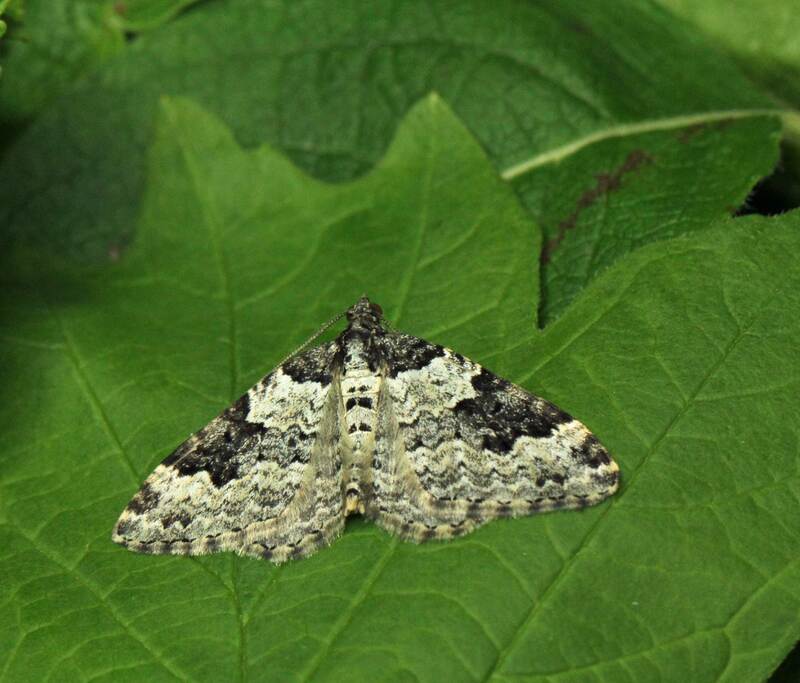 This greyish white moth has dark blackish bases to its forewings, which distinguishes it from most other carpets. It is most similar to the Gallium Carpet in which thecentral crossbar is wholly dark. In the Garden Carpet only the outside edge of the crossbar is dark. Two, sometimes three broods in the South, April to October. Garlic Mustard, Shepherd’s Purse, Nasturtium, Brassicas, Horse Radish, Hairy Bitter-cress. Gardens, allotments, rough ground in urban areas, but found in most habitats.